Filling and sealing the Battery Street Tunnel provides an opportunity to rebuild and reconnect three streets in South Lake Union previously cut off by SR 99. 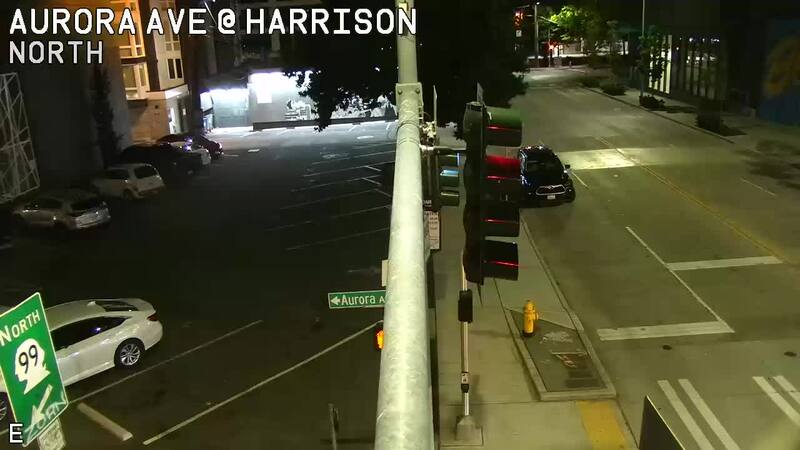 Crews will rebuild Seventh Avenue North (formerly called Aurora Avenue North) between Harrison Street and Denny Way, filling in the Battery Street Tunnel trench and reconnecting Harrison, Thomas and John streets east-west. Filling in the trench approaching the Battery Street Tunnel. Rebuilding Seventh Avenue North between Denny Way and Harrison Street, including dedicated transit lanes. Reconnecting Thomas and John streets, compatible with future green street improvements on Thomas Street. Electrical duct bank, gas line and water line work. Paving, sidewalks, striping and landscaping. The work will be conduced in phases that will keep at least one lane of traffic open in both directions on Seventh Avenue North. The first area of work will be the inside lanes, where SR 99 previously entered the Battery Street Tunnel. After that work is complete, Seventh Avenue North traffic will be shifted there and crews will rebuild the outside lanes of the street. Concrete barriers to separate travel lanes from work areas. Water misting to control dust. Temporary detours for people walking, biking and driving. Work primarily during daytime hours to minimize noise disruption to nearby residences and hotels. Increased truck traffic while crews fill the north portal of the Battery Street Tunnel. This will require hundreds of truck trips to deposit embankment material. Other typical construction effects such as increased dust, noise, vibration, and truck activity. When the project is complete, Seventh Avenue North (formerly called Aurora Avenue North) will have two lanes in each direction, plus transit lanes to help buses get to and from SR 99. View of Seventh Avenue North, looking south from Harrison Street. Video feed available on SDOT Travelers Home Page map.